Hi, I’m Ceri ( /keri/ for those of you who don’t know Welsh). I live in wonderful, windy, sunny Cádiz in the south west of Andalucia, Spain. I have two kids and work needs to fit in around having fun with them. I teach (when I can), train teachers and – mainly at the moment – write teaching materials for general English adult and teenage learners and classrooms. I’ve been working in ELT since 1986 when I started my first job in Italy. I worked there as a teacher, trainer and DOS for ten years. It was a great experience, I worked at a fantastic school (The English School o L’Aquila) where I taught an amazing range of classes and courses. In 1996 I moved back to the UK to do an MA in TEFL at Reading University. It was an incredible experience which I shared with a great group of people and it set me off in a new direction. I worked at Christchurch College Canterbury (as it was called at the time) for a year while I was writing my dissertation, but when the plans to lecture in a teacher training college in Malaysia fell through, I decided to leave academia and head back into the world of private language schools. This time I went to Spain as a DOS for an International House school in Madrid which is now the Hyland Language Centre. That’s where I first got involved in coursebook writing, and where I had my two children. After our second child was born I gave up my post as DOS and concentrated more on writing and working from home. This new geographical freedom meant that in 2006 we could make the decision to move south to Cádiz and bring our kids up near the beach. I grew up on a western coast and it’s been a kind of homecoming (though in a much warmer climate). The kids are getting older and I’m now redressing the writing/teaching balance and making my way back, slowly but surely, into the classroom. Some interesting changes have taken place in the last five years or so, and it’s been great getting back into teaching with a whole brave new world of technology to explore. I’m blogging as a way to stay in touch, stay in tune, process random thoughts and reactions and stay in love – with teaching, learning and language. On Close Up I’ll be looking at “the little things” *, hoping that every now and then the bigger picture shines through. I just came across you both via English Raven´s blog and as I live in Jimena de la Frontera, I thought I would get in touch as we are neighbours and all support the teaching of English. I am not a teacher but I send students abroad to learn English so if you ever have any students asking about study abroad, get in touch! Always good to met other fellow TEFLers from the Cádiz region! P.S. I am also on Twitter and Facebook as GeminiCourses if you´d like to stay in touch. Nice to get a big more on your background here. Seems like it’s been an interesting journey for you. In a similar way, I don’t get to teach as much as I’d like these days- only a few private lessons a week. However, I do love generating content and interacting within the EFL community, which is the job I have as a the “pedagogical soul” for a small french e-learning company. Dear Colleague, we are pleased to inform you that a link to your online resource has been added to Lingu@net World Wide: the virtual Language Resource Centre (www.linguanet-worldwide.org). Lingu@net World Wide is a multilingual, virtual resource centre to support the teaching and learning of foreign languages. Partly-funded by the EU Commission, it provides information about, and links to quality-assured online resources from Europe and around the world. You are most welcome to add a link to us from your web site, and if you do this we would be delighted to hear from you. I did the blogging course with the consultantse last year – loved it! And even though this one was already up and running it taught me loads about using blogs with classes. Enjoy! Let me know if you decide to take the blogging plunge as well – would love to follow it! Thanks for calling by. I’ve just sent you a reply by email. Really enjoyed reading your Blog after being directed to it by the One Stop English newsletter. Sorry for the late reply. Nice to see you here! Just wondering – did you go to Bristol Polytechnic as it was then known? 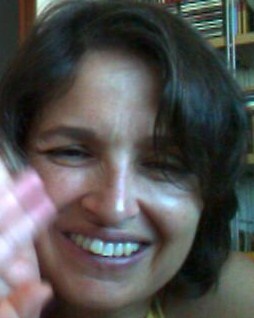 Ceri, I’m studying in FAFIRE Recife, though, I’m from Parnaíba, another city in the Northeast of Brazil. I really enjoyed your workshop and I just came here to say thank you and take a look at your blog. I’m a 19 year old teacher and you helped me a lot with this new point of view on images, it’s a nice focus to give in a class and I’m already using it with my students! Thanks a lot and it was a pleasure to be in the workshop. Bye! Thank you so much for calling by and leaving a message. I’m so glad the workshop was useful! And it was a real pleasure to be invited to FAFIRE and to meet so many warm, friendly, enthusiastic teachers. Good luck with the teaching! Anyway, I came across your blog as I am currently doing an online course about blogs through the school I work with. You have some super ideas on here. Really interesting to read. Thanks for calling by 🙂 My blog’s a bit dormant at the moment, but I’m hoping to start making up for that soon! Cádiz is a great place to live (of course I would say that wouldn’t I?) and there’s a lot going on in the TEFL world for a relatively small town. I really recommend getting in touch with Active Language if you are looking for a job down here. Or CLIC (IH Seville) as well have a small, young school (in its third year). These two schools have good reputations for teacher development and looking after their staff. Maybe I’ll see you down here some time soon! Thanks for replying so quickly and for the tips about schools! Thank you for dropping by! I’m so pleased you’ve found them useful. I will definitely be calling by to take a look. I’ve been using some of your ideas – to great effect, I might add – for the last few years, and so it was great to be able to hear you at TESOL in Madrid this weekend. Thanks for a great session! My name is Leena Chitnis, and I have been urged by friends to get started as a TEFL instructor, due to my background in English (BA) and MBA (Marketing and Entrepreneurship dual concentrations). I am also a Fulbright Scholar and spent a year in Greece and traveled all over Europe. I now want to teach in either France (Paris) or somewhere in Italy. The online information is scattered, dated and, at times, quite sketchy. I also don’t see ANY listings for these countries. Most listings are for Asia or the Middle East. Thanks for stopping by. I’m guessing from your message that you live in the US. Is that right? Do you hold an EU pasport at all? If not, working in France or Italy is going to be difficult for you for work permit reasons. That’s often why most listings (especially for US nationals) are for Asia or the Middle East. Your background is good for both countries, where Business English is often required, especially in the larger cities. I think your first step should be to find an initial training course based in one of those two countries (or neighbouring countries – Spain offers a lot of good courses in a number of cities: Madrid, Barcelona, Seville, Cádiz). The course could be partly online if you prefer. Certified teachers are more likely to find good jobs in the countries you’re targetting. The Cambridge CELTA course and the Trinity Cert TESOL courses are the most highly-regarded qualifications in both countries. I suggest attending at least part of the course in Europe so that you can get some first-hand, on-the-ground advice about teaching opportunities. It’s a teacher’s market at the moment. 1) How will I afford to live in Spain and take a course at the same time without a job? Are there scholarship/partial scholarship opportunities available? Work study positions available? How does this work? 5) When you say it’s a teacher’s market, that bodes well for future teachers like me, right? Hi Ceri, I loved your contribution to teachSTEP & found your blog thanks to this! Looking forward to following you! I’m in Málaga, so we’re near neighbours. I recently saw you webinar about micro-writing and was thoroughly inspired by it! I also had to write a post on my own blog about it. I just wanted to say a big thanks for making it and sharing your ideas. I will certianly be checking back on your blog again in future! My name is Jacqueline and I am an Art Teacher that lives in the United States (Ohio). I teach grades K-8 and somehow happened to find your page when working on an assignment for a student. I also tutor college on-line when I can. I loved your story and thank you for sharing. The power point was very helpful, and I will use it to teach my students how to explain their art projects. We would be delighted if you accepted this invitation to attend XVII Jornadas CETA as guest speaker to be held in Córdoba on April 9th. This year, emotions and foreign language learning will be the theme on which every talk will hinge. Thus, we though you will be the perfect speaker to suit teachers´ expectation on this wide and pervasive teaching element. I would be very grateful if you could leave a reply for this message to my corporate mail in order to provide further details on this training event.